Hi there, my darlings! This afternoon. 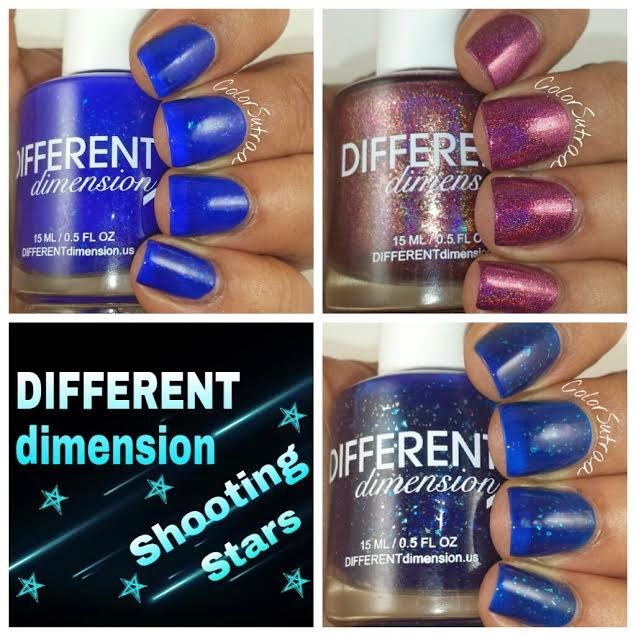 I'd like to show you three gorgeous polishes from Different dimension limited-edition Shooting Stars series. The Shooting Stars are created and released just ONE time so you have to be quick and grab them when you see them--once sold out, they are never to return! Fortunately, I was quick enough to grab one of them when it was released and Missi graciously sent me the other two to review! Before we get to swatches, let's talk about formula and application, shall we? 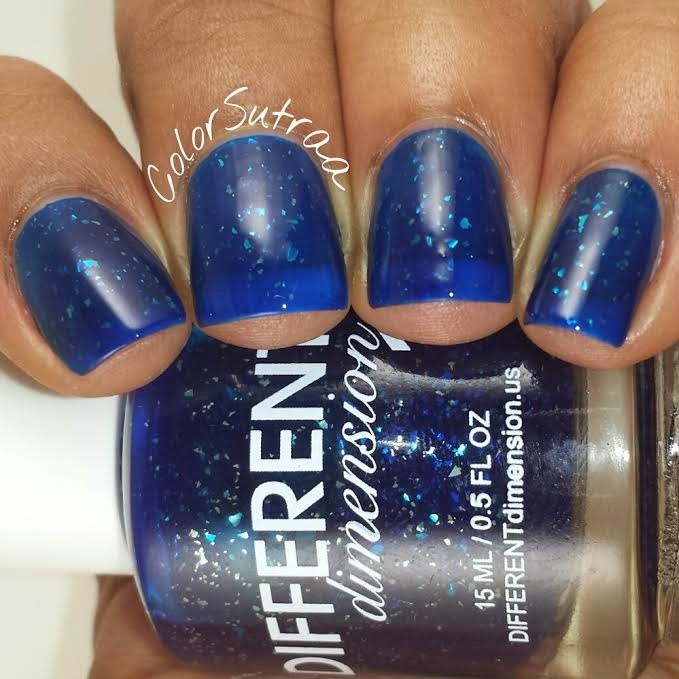 This set of Shooting Stars is comprised of 2 jellies and one holo--all three were a breeze to apply, went on smoothly, and dried quickly. The swatches of the jellies below show 2 thin coats, finished with 1 thin coat of G&G's HK Girl top coat--now you may see a little bit of visible nail line, but VNL doesn't bother me at all. 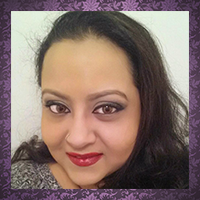 If you prefer a fully opaque look, go ahead and use 3 coats. 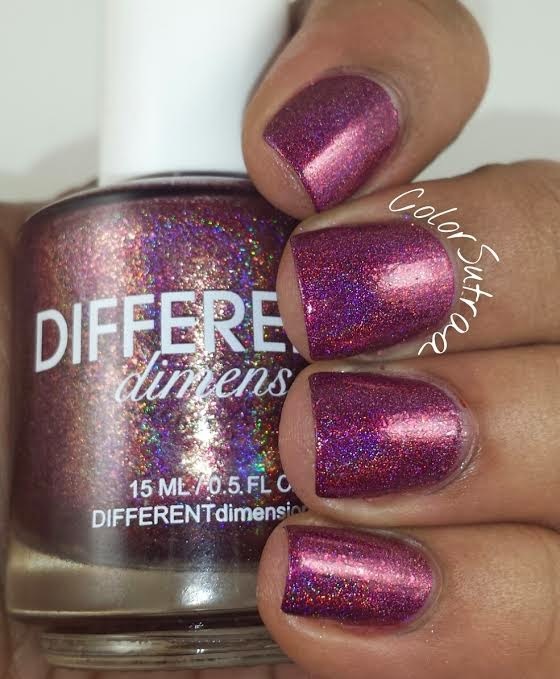 The holo was perfectly opaque in just 2 easy coats by itself. With all that said, let's get to swatches, shall we? The first of the three is Auriga--a dark blue jelly with added silver flakies. This one wore almost teal on me and I love how those flakies make the polish all but glow! 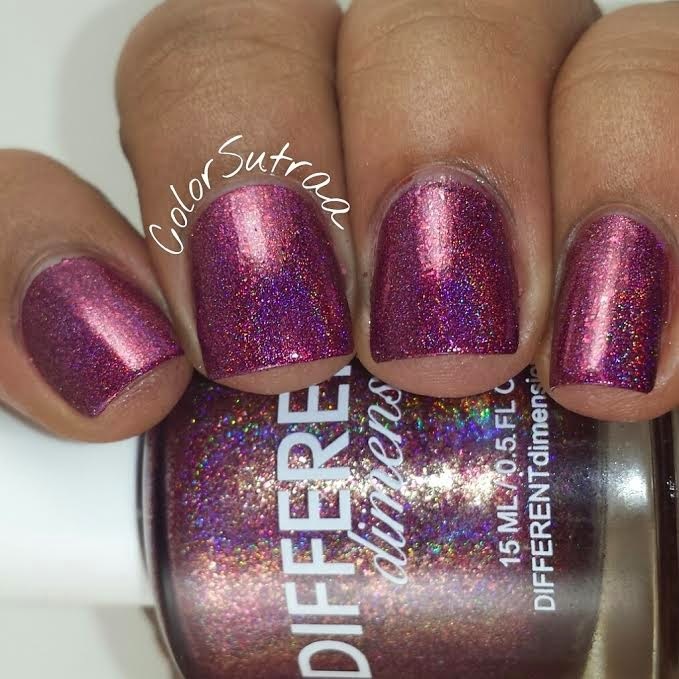 My favorite of the three, Cetus is a berry linear holographic polish with a touch of added gold shimmer. 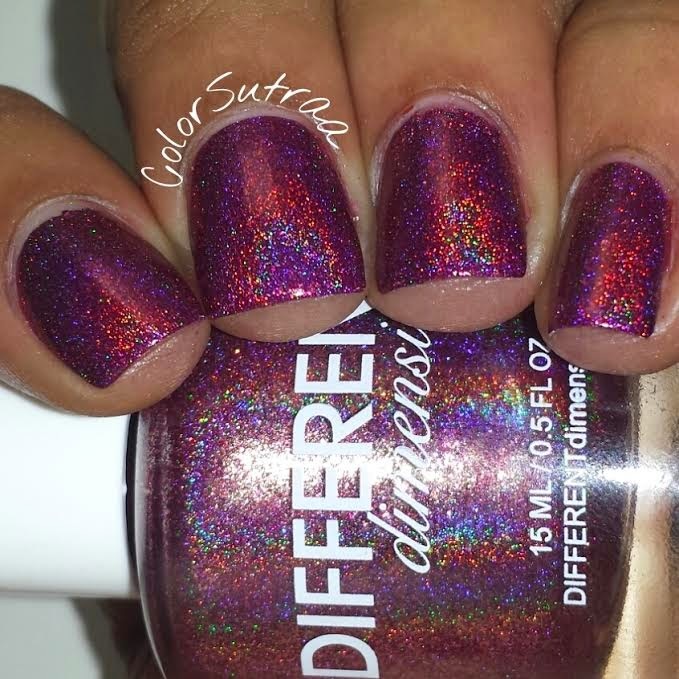 Not only is the holographic effect satisfyingly strong, but the bit of shimmer makes it even more beautiful! 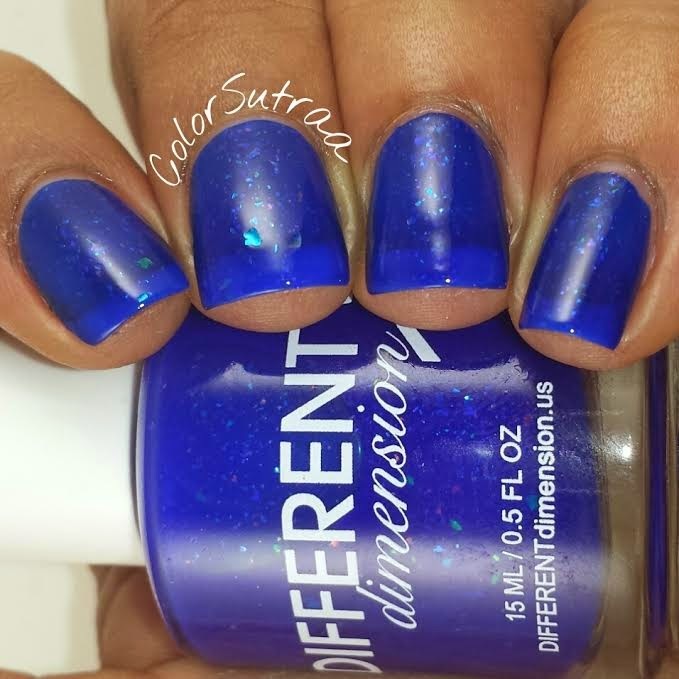 Last but definitely not the least, Pegasus is a bright cobalt blue jelly with added silver flakies. 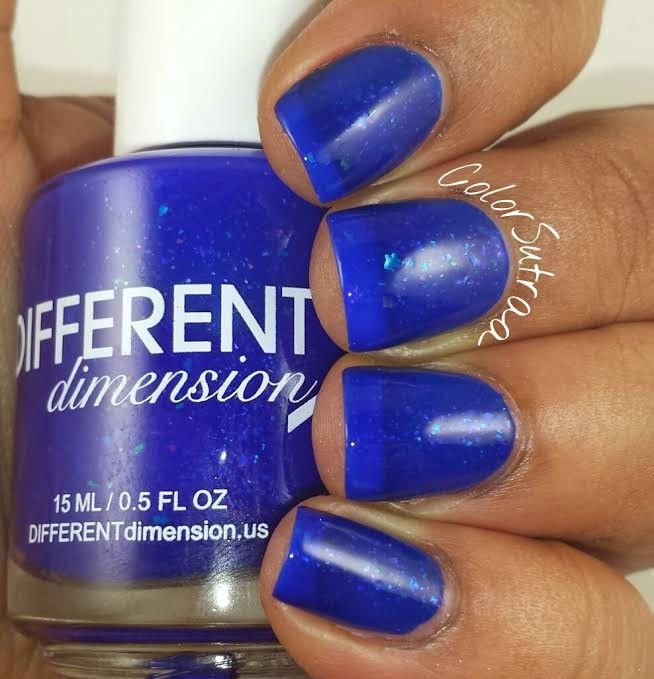 I absolutely adore this polish--this shade of blue is oh-so-eye-catching! So there you have it, my darlings! Though these beauties are no longer available, Missi releases these Shooting Stars every couple of weeks! 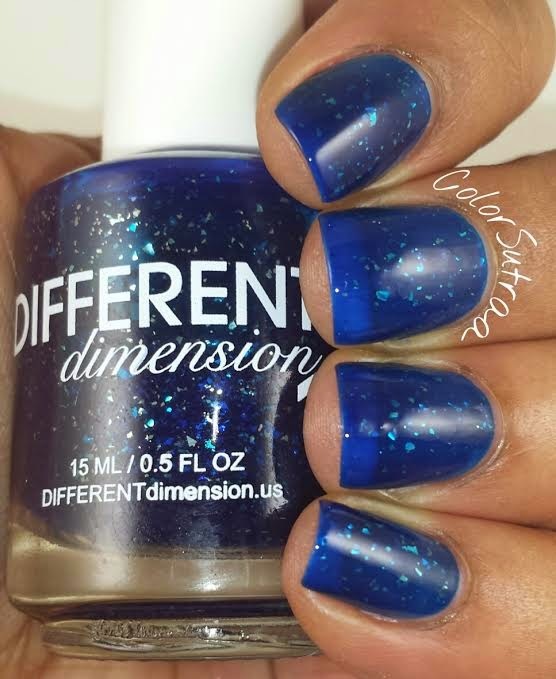 You can follow Missi of DIFFERENT dimension on FACEBOOK and on INSTAGRAM to make sure you know when the next set will be released! But wait! Missi has generously donated not one but TWO sets of these Shooting Stars to my current giveaway on Instagram! Find me for details on how to enter : HERE...and HERE. Good luck, my darlings!